The girls were running around the hotel room, hair and makeup just completed. The wedding coordinator making sure the programs were on the way to the church. The gowns were hung and ready to go. When all of a sudden the bride turns to the door of the suite. An envelope is slid under the door. The bride turns and looks at her girls with a curios look on her face, she goes to retrieve the envelope and recognizes her dads handwriting. She sits on the bed and starts to read the letter. A soft smile appears as she holds up a small piece of blue cloth. Her dad had kept this piece of her favorite blanket in his wallet since she was a small child. It reminded him of her. 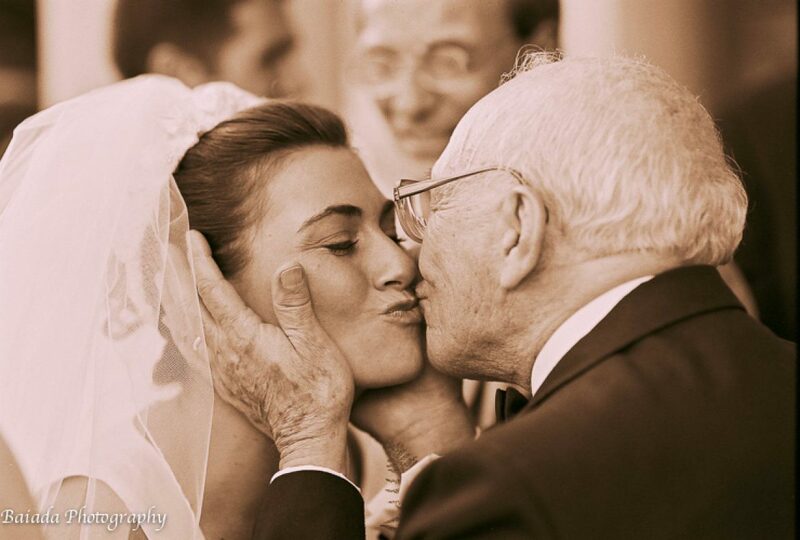 It was time to walk his little girl down the aisle and he wanted her to know how much he loved her. Tears started to fill her eyes. As a wedding photographer I learned a long time ago to be ready for the moments that happen so quickly. It is these moments that will live on long after the wedding day. You hope this bride tells the story to her children and shares the photos that go with the moments. 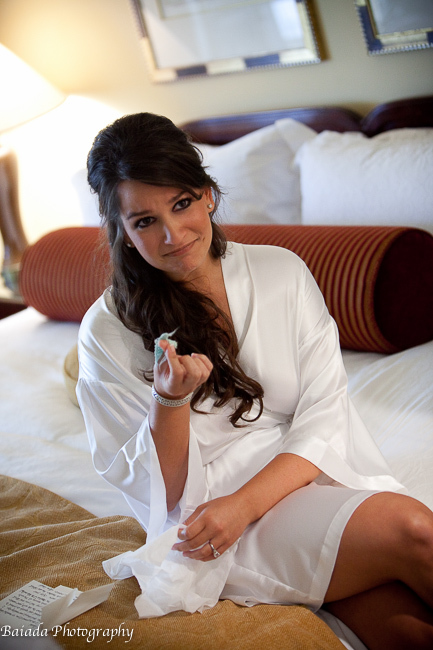 Bride finds piece of her baby blanker in Dad's letter on her wedding day.